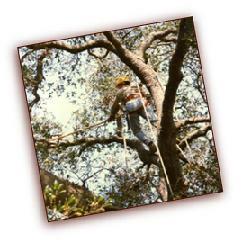 The main goal of our Commercial Tree Management Program is to increase safety in the common areas of your property. In order to accomplish this, high-risk trees are identified first then corrections are recommended to restore the tree to a safe condition. 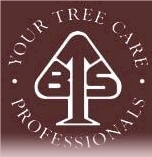 BTS also strives to harmonize the culture of your landscape in order to optimize the health of your trees. Certain plants thrive when living in close proximity to one another. By also balancing the soil with beneficial bio-stimulants, the result is a vigorous treescape that improves community forest appeal and awareness. With the proper long-term care plan in place, property managers will realize a cost savings over emergency care practices which can typically be charged at a premium. Sometimes, high-risk trees need to be removed. If this occurs, Succession Plantings may be recommended. This process allows undesirable and poor quality species to be phased out and creates the opportunity to rotate in high quality species that are better suited for the planting site. 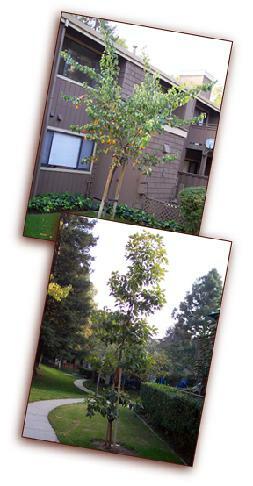 Based on the size of your treescape, a long-term program for Succession Planting may be provided. BTS will work with you to adhere to budgetary constraints, hazard issues and timing concerns. Our utility crews are all certified by the ISA and have many years of experience in planting and staking new trees properly. We also take great care in avoiding underground utilities during the process. With regular care, the resulting upgrades to the condition of the landscape at your property will improve community forest appeal. It also reduces damage due to storms and minimizes service calls from homeowners. Your liability as a homeowner or a property manager is reduced when hazardous situations are recognized early and corrected promptly. As required by law, regular care of your treescape exhibits Reasonable Duty of Care. 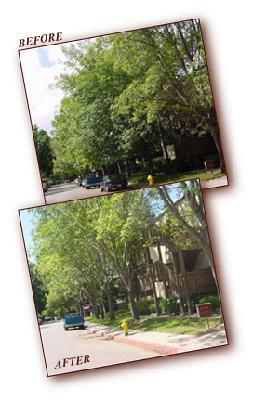 With a Commercial Tree Management Program in place, you are guaranteed regular monitoring of your treescape, and corresponding documentation to keep you current.